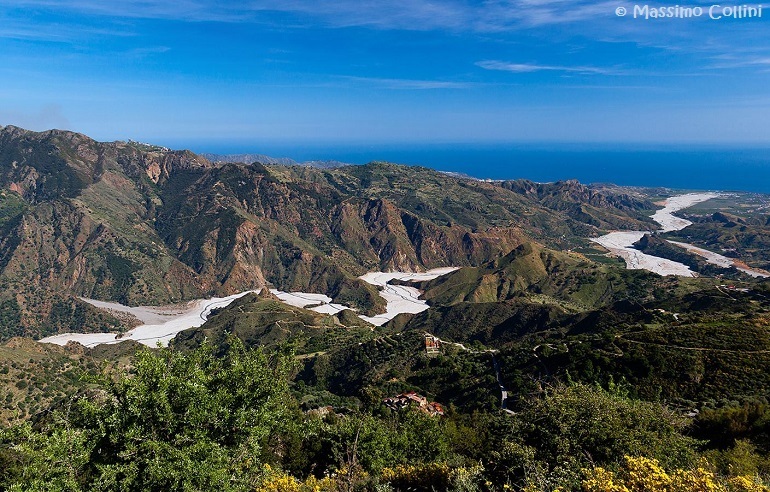 A fascinating glimpse of Calabria by writer Tom Mueller, resident of Vezzi Portio, Italy, on his travels through southern Italy. Count Zanotti-Bianco wrote: "He who passes through Magna Grecia has difficulty imagining the once rich sight offered by the ancient cities with their monuments and temples and by the landscape of thick forests and numerous perennial water ways of which the ancient writers speak". 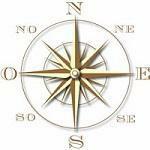 ...that shaped the life and way of thinking of its inhabitant since ancient times. 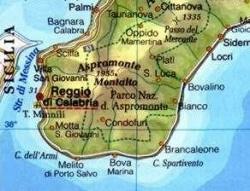 Calabria and who still today speak a distinctive dialect of Greek, believed to be remnants of the ancient and medieval Greek communities. 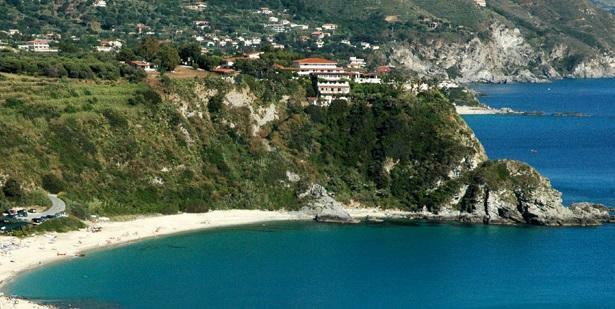 The Griko community in Calabria. 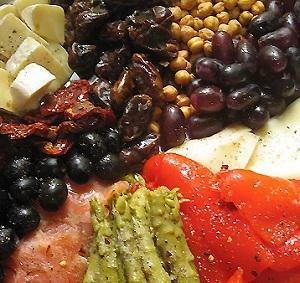 They call themselves “Grecanici” and are a living link to more than 2,500 years of uninterrupted history. A link that, barring a miracle, will soon be broken forever. When Rome fell, southern Calabria came under the control of the Byzantine Empire.This ensured the continuity of Greek language and learning, but offered little protection from the wave upon wave of Germanic warriors, Saracen raiders, Norman knights, Turkish crusaders, and Bourbon troops that ravaged the area. Other invaders wielded not the sword, but a chalice and a cross. The Papacy systematically persecuted the Grecanici for their Greek Orthodox faith, driving them deep into the mountains to worship in hidden chapels. 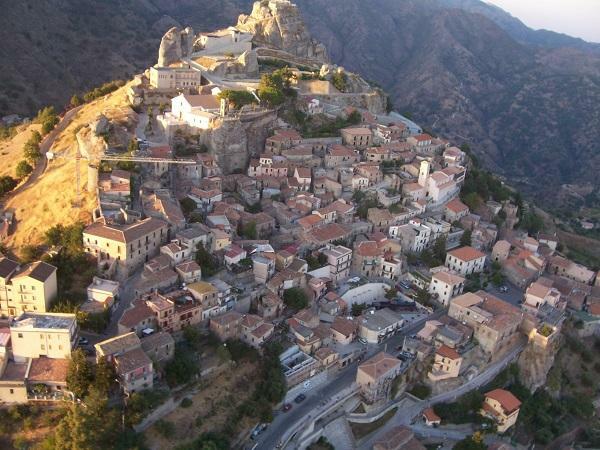 Just 20 kilometers inland, in the wild Calabrian mountains, are a few isolated villages where the older inhabitants still speak Greek. The greatest treasure of all was their language, key to the knowledge of ancient Greece, which catalyzed the Renaissance. 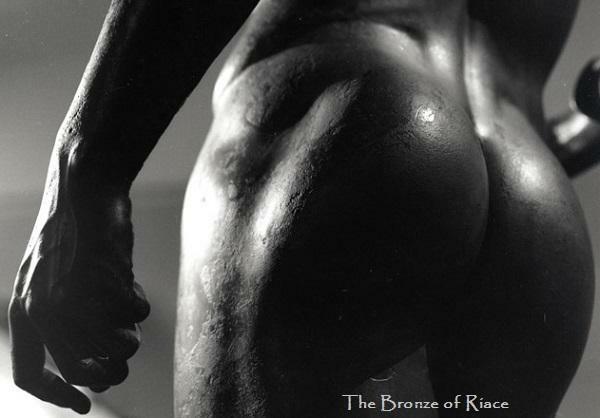 Not modern Greek, nor medieval Byzantine, but a form of ancient Greek – the language of the Bronzes and their sculptor, the language of Homer. When Petrarch and Boccacio wanted to learn Greek, they hired Calabrian monks as tutors. 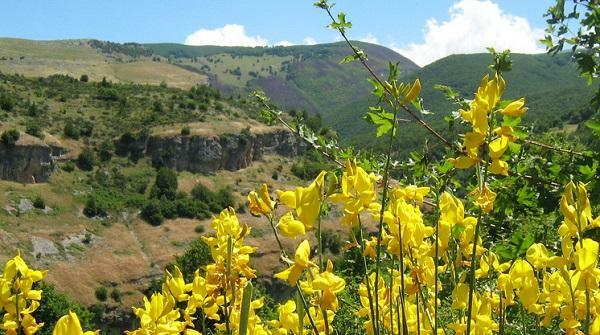 In those times, southern Calabria was rich in worldly as well as spiritual goods, renowned for its silks, honey, minerals, and fertile farmlands. 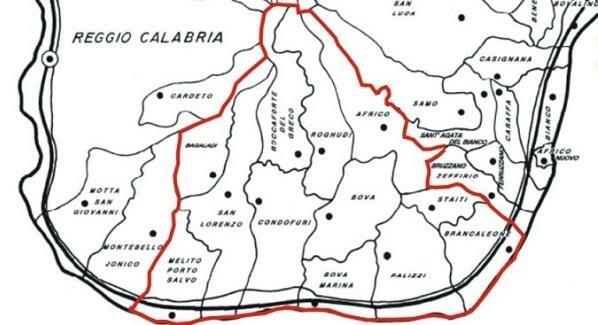 Now Calabria is the poorest region in Italy, and the Grecanico area is the most destitute of all Calabria. Though they have withstood countless hostile invaders, the Grecanici now falter before their most unforgiving enemy: the modern world. The songs, customs, and religious traditions of these impoverished farmers are a priceless cultural inheritance, unique in the world. 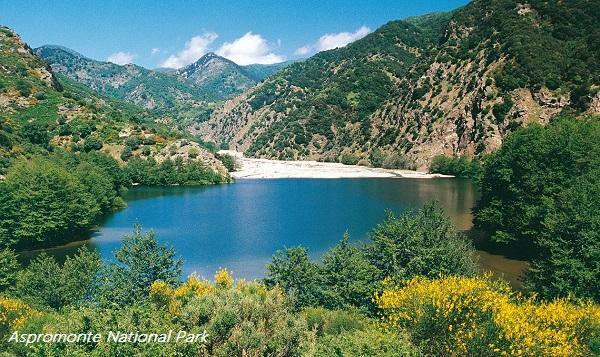 This is the Deep South, the extreme tip of the Italian boot, a place known as Aspromonte, or “Harsh Mountain". At first glance, the name seems to fit: steep, forbidding mountains advance almost to the coast and rise away inland as far as the eye can see – a parade of sun-scorched peaks and deep gorges of eternal shadow. 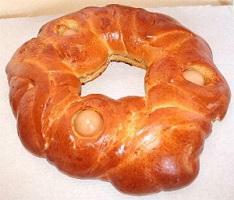 For most Italians, Aspromonte is synonymous with brigands and grinding poverty. Yet, driving south from Reggio along the sinuous Ionian coastline down Highway 106, I begin to see that the landscape, at least, is anything but harsh. To the right, smooth expanses of pebble and white-sand beaches are punctuated by steep-sided coves of startling aquamarine. To the left, the lush mountain vegetation spills down almost to the road: chestnuts, holm oaks, and quaking aspen mingle with silvery olive trees and fruit-laden oranges above a carpet of wildflowers. 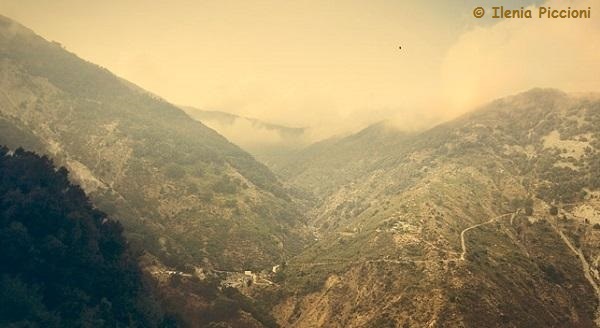 At Bova Marina I turn off the highway onto a narrow road that switchbacks its way up into the mountains, climbing 1,000 meters in 14 kilometers. In the distance, set on a rocky promontory, is the town of Bova, doorway to the Grecanico region. Like other Grecanico villages, Bova occupies a perfect defensive position. In the snug central piazza of Bova, I meet Carmelo Nucera, a native Bovese and the town’s former mayor, who has agreed to be my guide in the Aspromonte. He leads me through the town’s maze of cobbled alleyways and small cottages that seem to have sprung directly from the granite slopes. 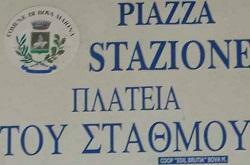 Street signs are bilingual, both in Greek and Italian, an initiative Carmelo took to emphasize the proud history of Bova - or “Vua,” the Grecanico name, which he prefers. Before heading back into the mountains, I get my first taste of Grecanico customs: lunch in a local home. When we arrive, the table is already laden with the appetizer, a smorgasbord of homemade salamis, ruby-red tomatoes dried in the sun, ugly little olives with a refined, complex flavor, marinated porcini mushrooms eaten one by one on a toothpick, and creamy “musulupo,” goat’s cheese molded into five neat domes to resemble a Byzantine church. Then, riding on a luscious breeze from the kitchen, comes the main course: “capra alla pecurara,” a whole yearling goat slow-cooked in its own skin on a pit fire. Dessert consists of fresh figs, cottage cheese bl ended with orange blossom honey, and an enormous “ngute,” a rich pastry with six boiled eggs cooked - unpeeled - inside. This last dish appears to have a long history: vases discovered in nearby Locri Epizephyrii, one of the capitals of Magna Graecia, portray women in graceful robes carrying trays of pastries with eggs imbedded in them. Certainly the “philoxenia” (sacred hospitality) of the ancient Greeks continues among the Grecanici. With the bitterness of the crowning espresso on our tongues, we climb aboard a battered Fiat Panda 4x4 and drive uphill out the back end of town. The gravel track loops and tightropes along sheer precipices. Carmelo stops occasionally to explain points of interest, which show the intimate tie between the Grecanici and nature. We encounter clumps of coarse green grass sprinkled with fragrant yellow flowers. 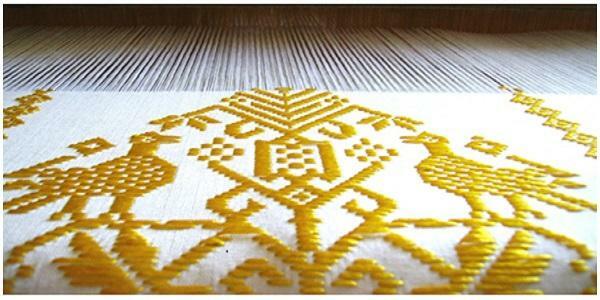 This is “ginestra,” (jinostra) a species of broom that a few old women still weave at the “argalio” (“loom,” a Homeric word), miraculously producing wedding dresses and silky soft blankets from its rough stalks. There are enormous rock monoliths with fantastical shapes, which are enshrouded in centuries of folk legend. We see Pentedattilo, Greek for “Five Fingers,” a granite outcropping in the shape of a giant hand where, on the night of April 14, 1686, the noble Alberti family was ambushed in their castle by a rival clan and slaughtered. (Tradition has it that their bloody hand prints are still visible on the stone). As we proceed, the gravel road deteriorates to clay, and the clay to mud. Tiny, precariously perched villages appear above us. Their names - Condofuri, Galliciano, Ghorio - are pure Greek, for this is the heart of Grecanico territory. We stop briefly in each town and climb a rutted track to the main piazza, under the watchful eyes of the villagers. A small group of men is always waiting silently in the square. Someone invites us to his home, and the village escorts us to the door. We all enter a cramped but immaculate dining room and find seats around a low table. Our host’s family drifts in, and he introduces them one by one. Someone brings out a “tambureddu” (a drum strung with goat skin) and an accordion, and they begin to sing. The next village on our route is Roghudi, on the Amendolea River. We stop at a widening in the road that overlooks the town and the surrounding river valley. The broad stony bed of the Amendolea rolls through misty mountains to the coast, clearing a gap in which we glimpse the unearthly blue-green of the Ionian Sea. In the streets and squares there is no movement, no sound except the whistle of swifts...and the bleating of some goats below on a rooftop somewhere near the riverbed. 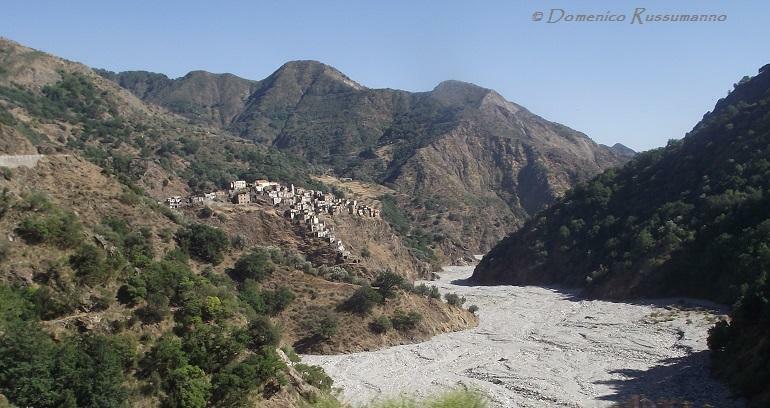 Carmelo explains that the village was abandoned in 1973 when a catastrophic flood put an end to a century-long battle against depopulation and the elements. Word is that someone still lives in Roghudi, an octogenarian who cannot bear to leave his native home. There is no sign of him, only swooping swallows, bats fluttering in the darkened houses, and a one-eyed sheepdog that watches us warily from a distance. In the small main square, identical to the others we have visited, a grapevine climbs fresh and green up a rotting wooden trellis. Carmelo stops a moment to look. 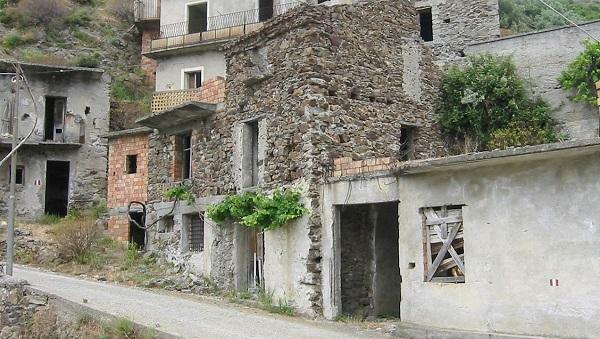 This is the fate that awaits all Grecanico villages, his beloved Bova included, unless something is done to halt the demographic decline of the region. 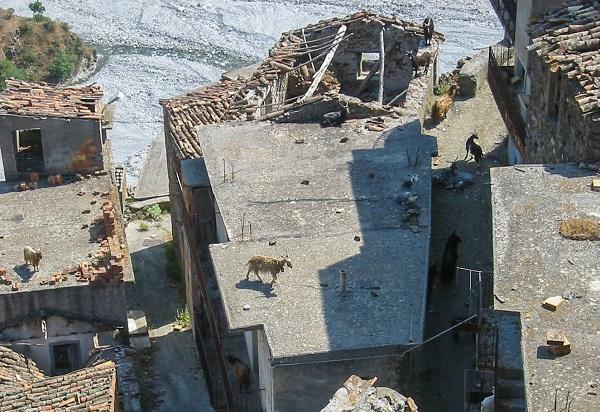 In the last 30 years alone, five Greek-speaking villages have been abandoned. Though no one knows exactly how many native speakers remain, they cannot number much above 2,000. 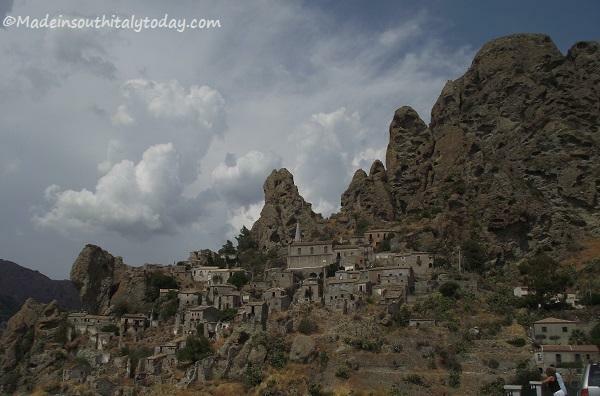 As evening approaches, we take our leave and head for the sanctuary of San Giovanni Theristis. Though it is only 40 kilometers to the north, no roads lead over the mountains, so we have to return to the coastal highway. Carmelo is less talkative now. When we turn back into the mountains at Monasterace, I ask about the church we are to visit. What makes it different from the others we have seen? Carmelo smiles faintly, then looks quickly away, Calabrian fashion. “This one is different – you will see,” he says. “It is a new beginning.” He does not explain further. When we arrive, the full moon sits like a round of goat’s cheese on the far mountains. In its milky light we see the ruins of a church. A figure in a full black gown and skullcap stands beside it, waiting. He is Father Kosmas, a Greek Orthodox (Father Kosmas passed away December 12-2010) hermit who moved from Mount Athos, the spiritual heartland of his religion, to this secluded place two years ago. When I ask him why, he smiles and strokes his grizzled beard, his dark eyes amused, then glances wordlessly away – just as a Calabrian would do, evidence of enduring parallels between the two races.earthly blue-green of the Ionian Sea. Instead of answering, he suggests a tour of the church, dedicated to St. Giovanni Theristis, a Greek saint venerated for centuries in this area before the Vatican exterminated Orthodoxy. Once this was a dignified church in clean yellow sandstone, with an adjoining monastery housing dozens of monks. All that remains today is the ruined, roofless shell. Father Kosmas steps through a hole in the east wall and turns into the apse. It is like entering another world.In the shadowy bowl of the apse, which I now see has been carefully restored, candles burn beneath dozens of glowing golden icons, giving the church the warmth of a hearth. 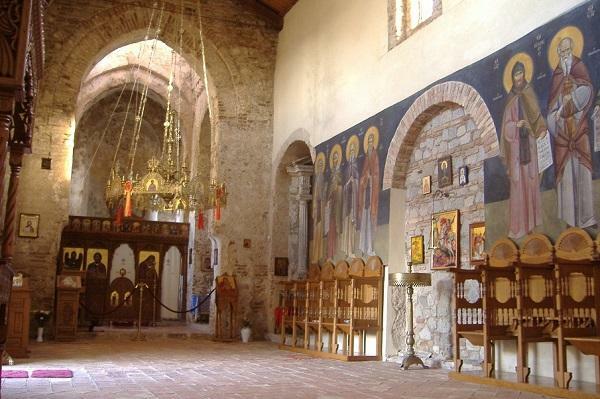 Greek Orthodoxy was restored in this sanctuary on February 24, 1995, and Father Kosmas worshiped here daily. I imagine the haunting polyphonic chorus of the Orthodox liturgy echoing once more in the rough stone apse after a silence of four centuries, then spiraling upward with the candle smoke like the incense and hymns of a Greek temple into the open sky above. 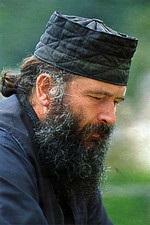 In the silence of the darkened church, Father Kosmas speaks. “You asked why I came here. I came at the direction of my spiritual adviser, whom I assisted at his deathbed in a cell on Mount Athos. For hours at a time he lay silent, his eyes closed, barely breathing. Just before he joined the Father, however, light returned to his eyes. Father Kosmas is watching me now, with a look as searching as the owl on the wall, as powerful as the icons that surrounds us. His voice has a new intensity. “Suddenly he grasped my hand. ‘Go!’ he said, ‘Return to the land of our saints. Begin a new life there. ” This is what Father Kosmas believes". 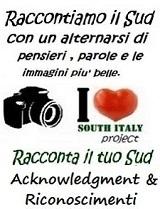 It is what the other people who are fighting for the Grecanico way of life, in one way or another, hope some day to see. Time will tell whether the sun will indeed rise once more for the Grecanici or whether they will slip, as they seem on the verge of doing, into a final, lasting darkness. This is what Carmelo means by a new beginning. 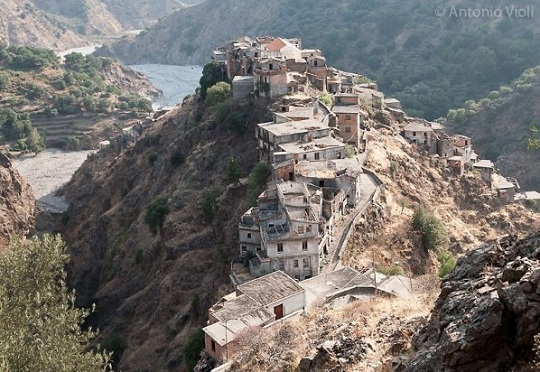 Despite the precarious condition of the Grecanici, a few determined people like Father Kosmas have started to rebuild the Grecanico culture and are fighting to preserve it. Filippo Condemi, a successful big-city psychiatrist born to a poor Grecanico family in Galliciano, has written a grammar of the language and is working to have it introduced in elementary schools. Bruno Casile, a farmer from Bova who became a self-taught poet, continues despite his advanced years to sing the rage and determination of his forgotten people in their ancient tongue. Carmelo Nucera himself has devoted his life to the Grecanici, among whom he grew up. He organizes music festivals, forges ties with Greek sister cities, and campaigns for legal recognition of the Grecanici as an ethnic minority. Even a few of the younger people are beginning to take pride in customs and traditions that have long been a source of shame to them. 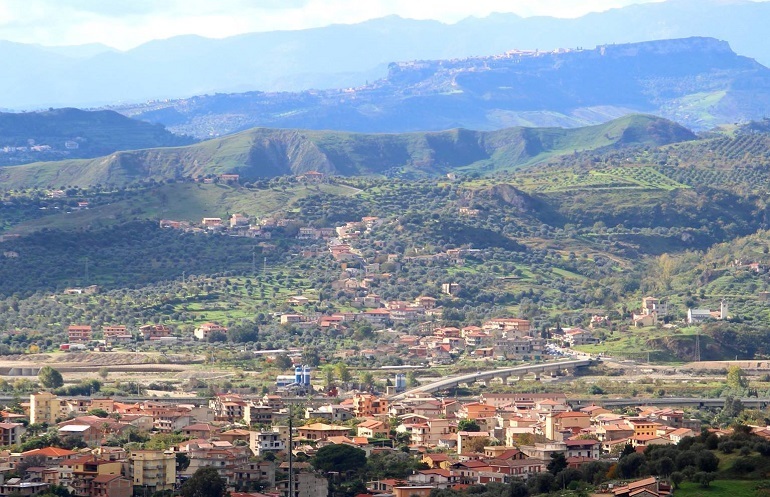 Mimmo Cuppari and Pasquale Valle lead tours of the Grecanico region, during which participants stay with local families and learn about their crafts and foods. Leo Zindato heads a new agricultural cooperative that grows the prized mushrooms of the Aspromonte. Each of these lone defenders is working with desperate energy, knowing that the Grecanico culture is on the verge of extinction. work posted by Ilenia and Antonio!